Size (Inches): 16 In. X 8 In. X 8 In. 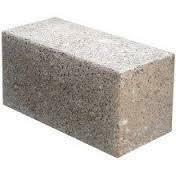 Keeping the diverse requirements of customers in mind, we are instrumental in providing Solid Concrete Block. Leveraging over the skills of our qualified team of professionals, we are engaged in providing supreme quality range of Decorative Concrete Block. 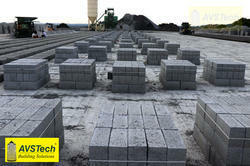 Catering to the requirements of our clients, we are into offering Solid Block. A cover block is essentially a spacer that is used to lift the rebar matrix off the ground so that concrete may flow underneath the rebar. In order to prevent corrosion and provide better reinforcement and fire resistance to the rebar. Versatile thin jointing mortar for laying Concrete blocks, Hollow blocks, AAC blocks, Fly Ash bricks. Specially designed to provide stronger, much more durable bonding between the blocks with superior adhesive strength.